Since the walking trail near our neighborhood runs next the railroad tracks that are next to Southgate Mall (i.e. amazing Montana scenery is not up close and personal), it's a perfect place to notice odd details. 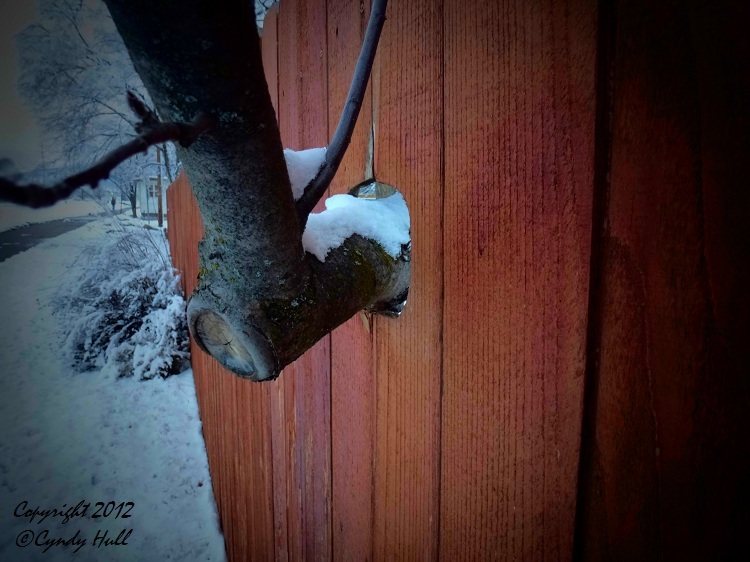 In an era of clearing growth for ease of construction, I appreciate this fence-builder's attention to detail and desire to preserve a good tree.